Sure, the idea of men playing music together has been around forever, but the 1960s saw a shift from boys playing together in a band, to bonafide boy bands. These new boy bands were characterized as being young, good looking, and their music was usually marketed towards women. From The Jackson 5 to the Backstreet Boys, there’s a boy band for every generation. There’s a good chance you’ve been a die-hard fan of at least one of them. Read on and take a musical trip back in time to when your room was covered in posters and you were begging your parents to take you to see these iconic boy bands. 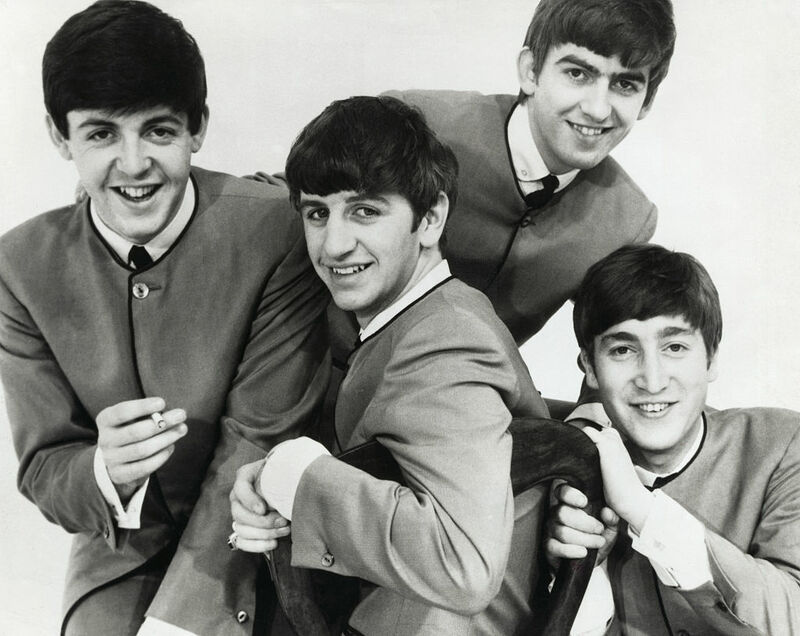 Not only are they one of the most influential bands of all time but The Beatles are credited as being the first real boy band, and that’s before anyone had even coined the term! It’s hard to think of a band before them that made teenagers scream at the top of their lungs and buy every Beatle-related magazine out there. Even the way they were marketed to the public is reminiscent of the later boy bands to come. They didn’t call it "Beatlemania" for nothing. It was the massive success of The Beatles that actually inspired a TV producer to think up a TV show about the misadventures of a band. 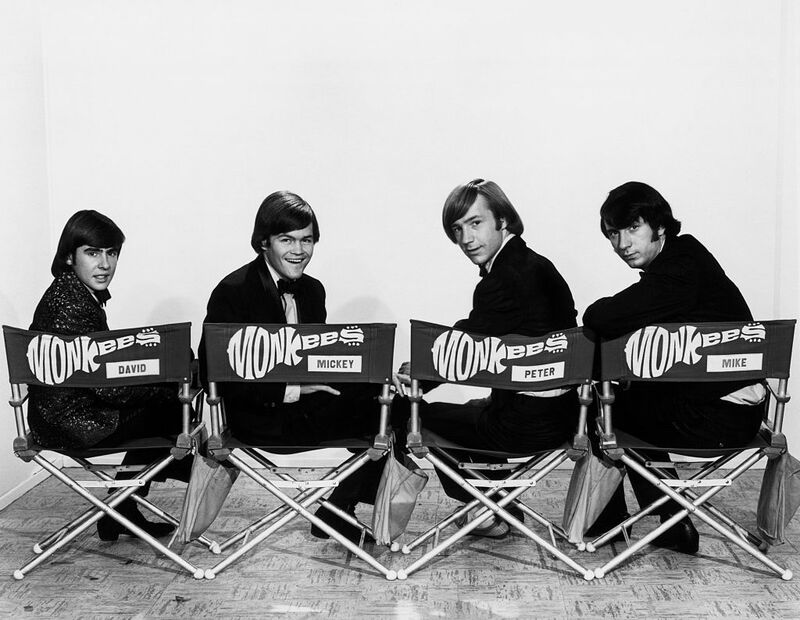 The four actors on The Monkees were hired for their acting skills and their singing, and it didn’t take long for them to learn how to perform live and transform into the band they played on TV. In two seasons the show—and technically the band—had six number one hits. It marked the first time we saw a boy band orchestrated. 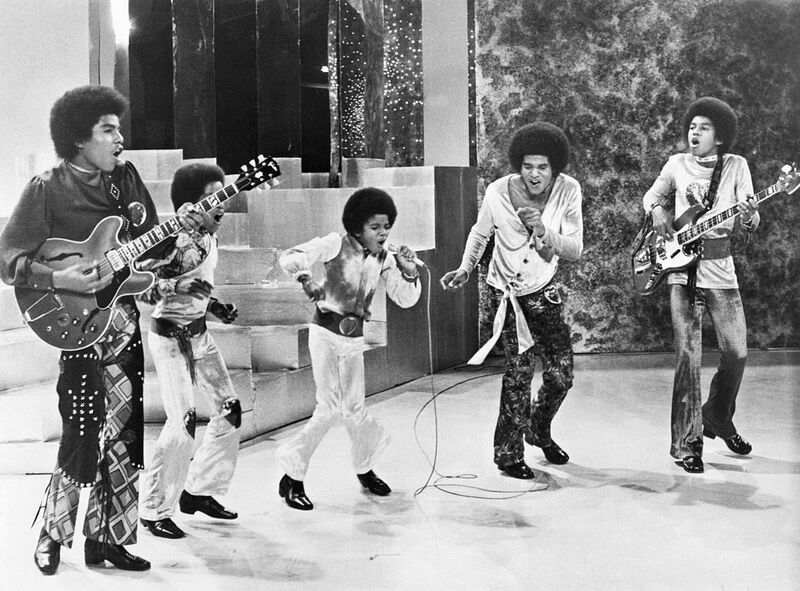 Family boy bands are a dime a dozen today, but The Jackson 5 were the first to do it. Tito, Jermaine, Jackie, Marlon, and of course, Michael made up the iconic R&B group. The five of them had been performing together for years before actually being signed. The Jackson 5 were the first to do some seriously iconic things like perform with close harmonies, insert catchy pop music hooks, and use choreographed dance moves. 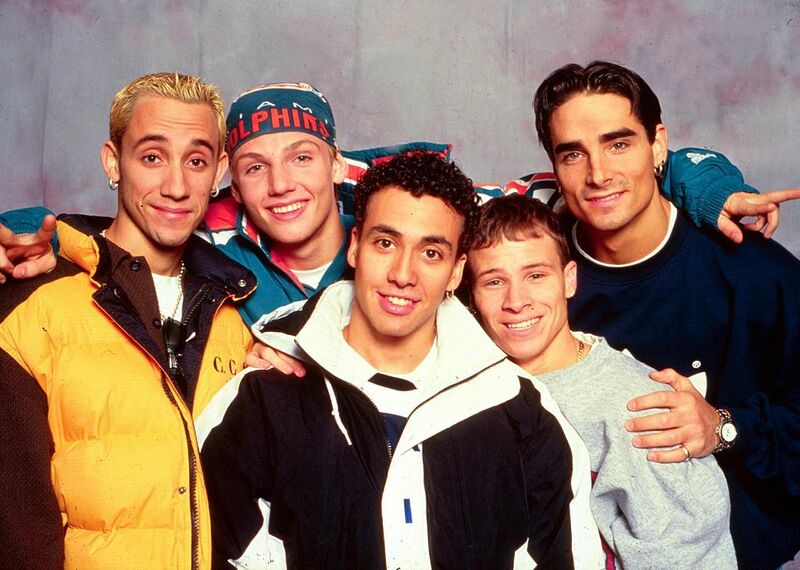 Coming up, you might remember this Latin boy band for being where Ricky Martin got his start. Yet another brotherly boy band, The Osmonds, rose to fame in the 1960s. The four oldest brothers started as a barbershop quartet until a music producer convinced them if they changed styles, they could be as successful as The Jackson 5. The youngest sibling, Donny Osmond, fronted the band and provided a squeaky-clean option for teenage girls to obsess over all along the midwest. 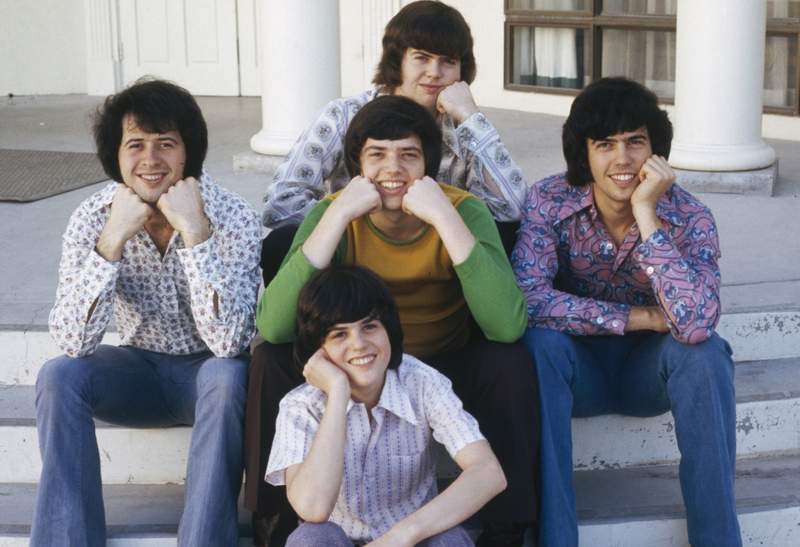 The Osmonds were also the first boy band to be promoted by Disney, and we know how much Disney loves boy bands now. 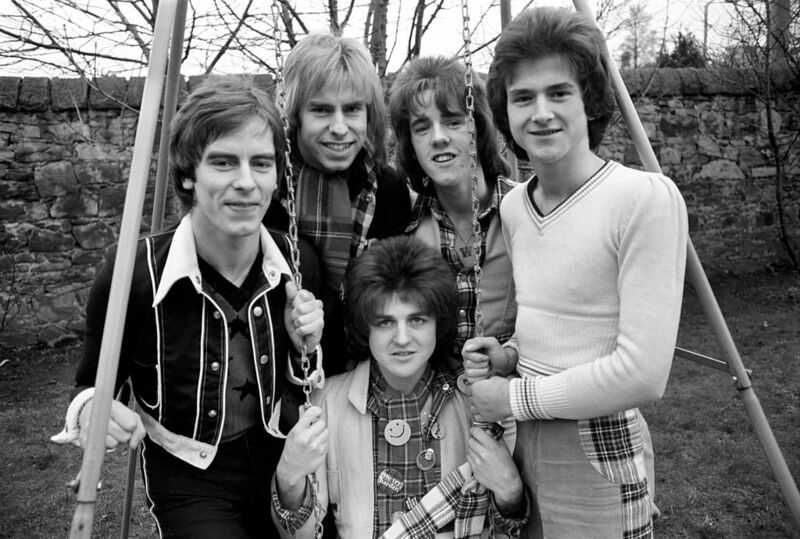 Most boy bands fizzled out by the 1970s until the Bay City Rollers debuted in 1974. The boys from Scotland managed to combine the ’70s new love of rock with pop music. 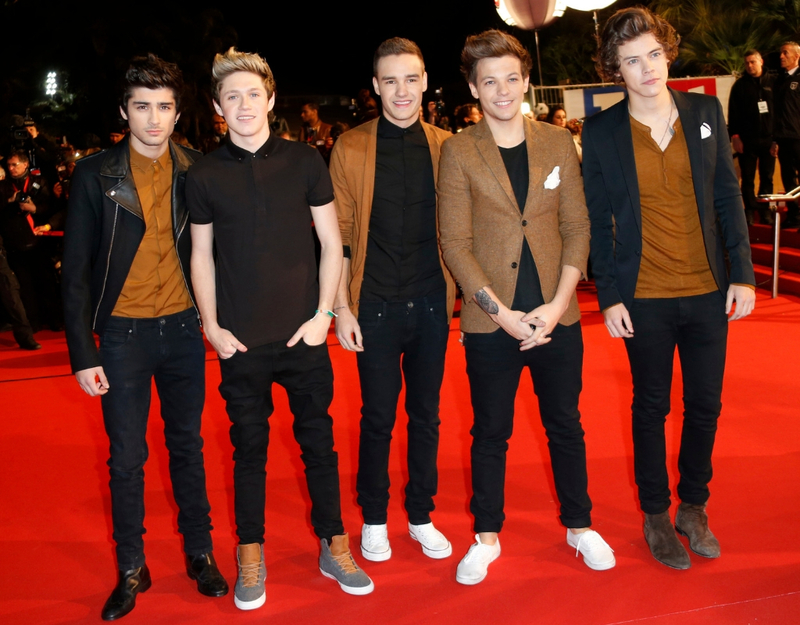 At the time, they were the biggest British boy band since The Beatles. Thanks to the U.K. success with songs like "Saturday Night and "Money Honey" their music label decided to take a chance and send them on tour in America. It paid off when "Saturday Night" topped out at No. 1 on the U.S. charts. The success of boy bands in America and Britain spread around the world and even to Puerto Rico, where Menudo was formed. The group began in the 1970s with the concept that the lineup would continuously change when the members got older. That way, Menudo was also packed with young, handsome Puerto Rican boys to appeal to teens. The new idea works and Menudo has had a steady fan base in Puerto Rico and America since 1983. The group also notably launched the career of Ricky Martin. The “bad boy” band coming up had girls in the ’80s fainting at the shows. You can thank childhood friends Bobby Brown (yes, that Bobby Brown), Michael Bivins, and Rickey Bell for forming the first version of New Edition. The three added some more friends and became stars after their single "Candy Girl" became a No. 1 R&B hit. 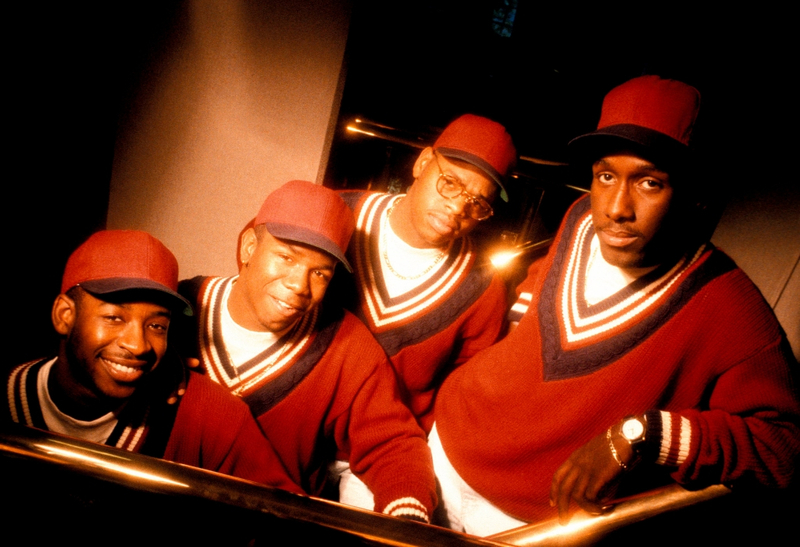 New Edition followed up their success with eight other top-40 hits. Many didn’t know it at the time but New Edition had just kicked off the era of 1980s boy bands. 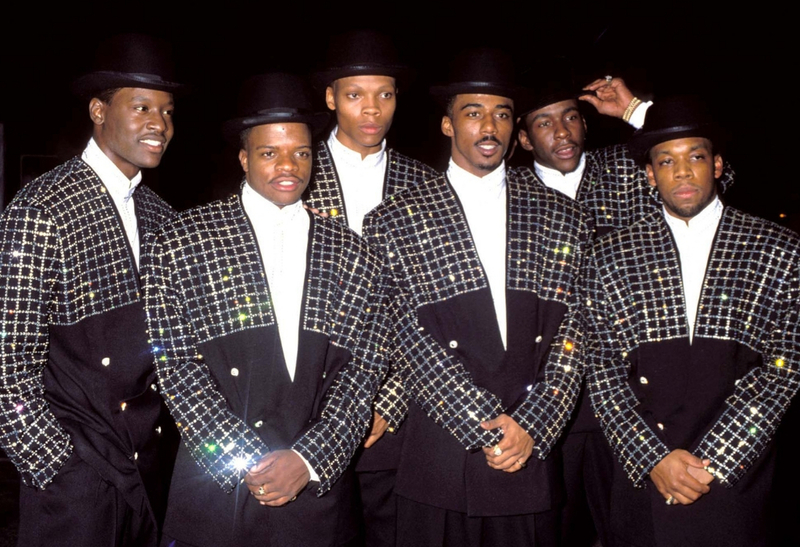 It was the success of New Edition that inspired music producer Maurice Starr to put together a hand-picked boy band. 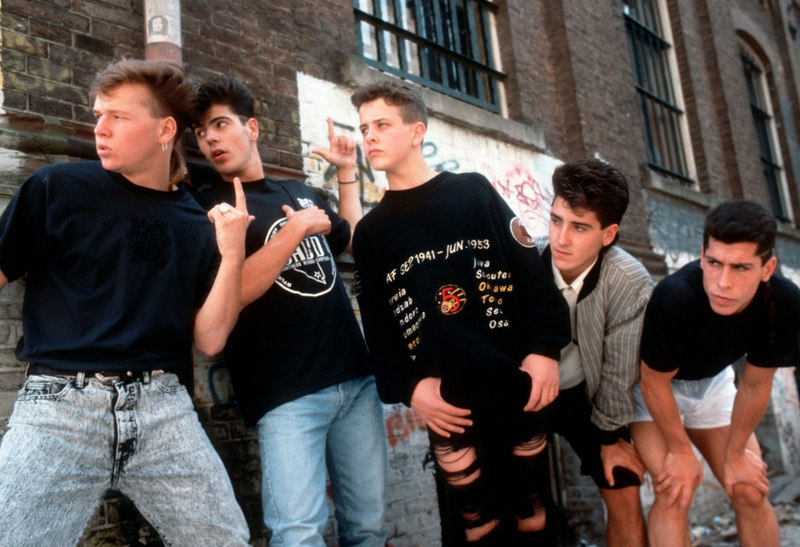 New Kids On The Block’s (NKOTB) first album was filled with bubblegum pop and a huge flop. It wasn’t until the second album when the incorporated other styles of the time like synth and rap that the boy band took off. NKOTB was also the first boy band to become commercially successful thanks to merchandise like lunch boxes, comic books, and even a cartoon. 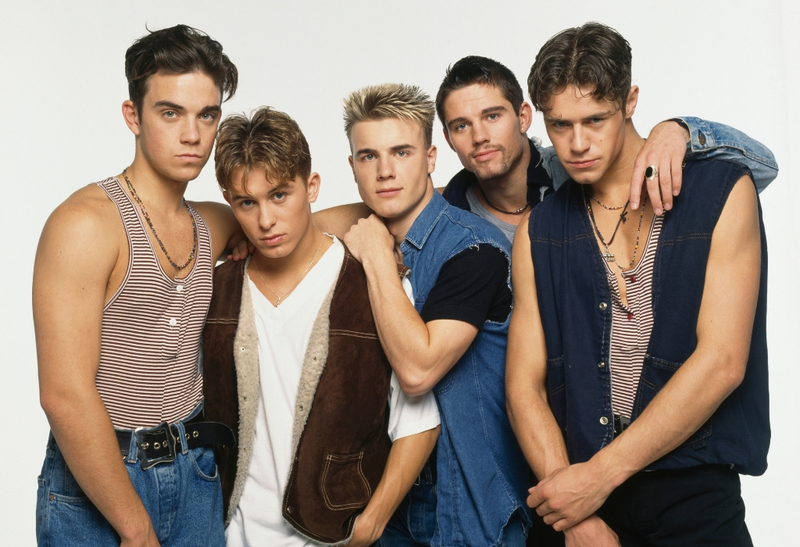 Coming up, this soulful group kicked off the biggest decade for boy bands. The success of NKOTB led to British music producers trying to see if they could make boy bands work again. What they ended up with was Take That, a five-person British pop group that soon dominated the British pop charts. Even U.S. teens at the time would remember hearing songs like "It Only Takes A Minute" on their radio. The group was highly successful until one of the members, Robbie Williams, left the group due to drug abuse and their image went downhill. Boyzone was basically the Irish version of Take That and essentially kicked off the U.K. battle of the boy bands. The creation of Boyzone would become commonplace in the ’90s: a music producer held auditions with hundreds of singers, finally settled on a lineup, and gave each member a specific "character." Most of Boyzone’s top singles at first were actually covers of other boy band songs like The Osmonds’ "Love Me For A Reason." Inspired by New Edition, Boyz II Men formed in the late 1980s and combined soulful R&B music with pop hits. Many of their singles were love ballads that made teenage and adult women swoon. Boyz II Men are notable for being one of the boy bands who had "crossover appeal." Their music was played on Top 40 and original R&B stations. Even parents liked listening to singles like "One Sweet Day" and "I’ll Make Love To You." The next few boy bands represent the golden age: the Nineties. Finally, we enter the golden age of boy bands with the Backstreet Boys. Arguably one of the most popular groups of all time, the Backstreet Boys followed the new template of auditioning tons of individual singers to craft the perfect boy band. 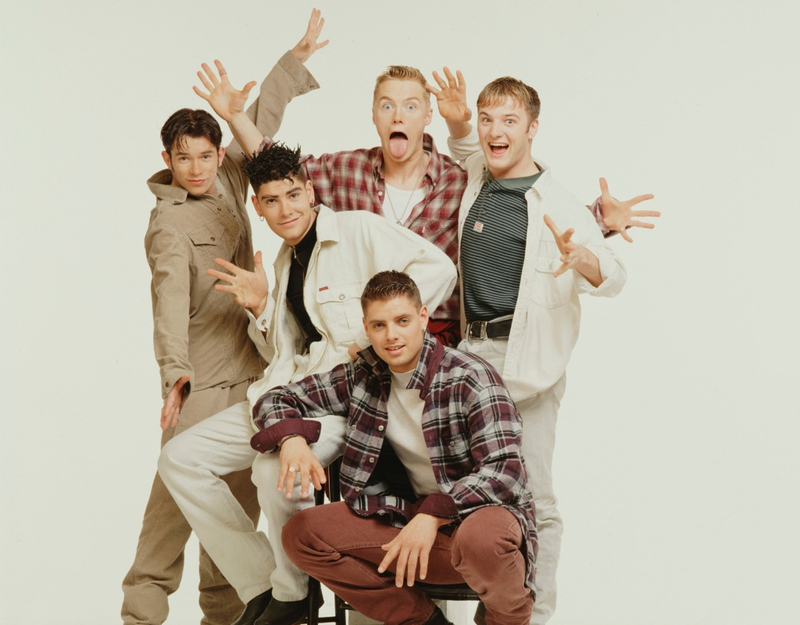 They were formed in 1993 but it wasn’t until their first single “Quit Playing Games (With My Heart)” became a top 10 that America got Backstreet Boys fever. Their 1999 album “Millennium” holds the record for most albums sold in one week, and they’re still going strong today with a 2019 world tour. The arch nemesis of the Backstreet Boys was created in the same way by the same entrepreneur music producer, Lou Pearlman. *NSYNC member Chris Kirkpatrick was cut last minute from the Backstreet Boys, so Pearlman decided to create another group with Kirkpatrick. 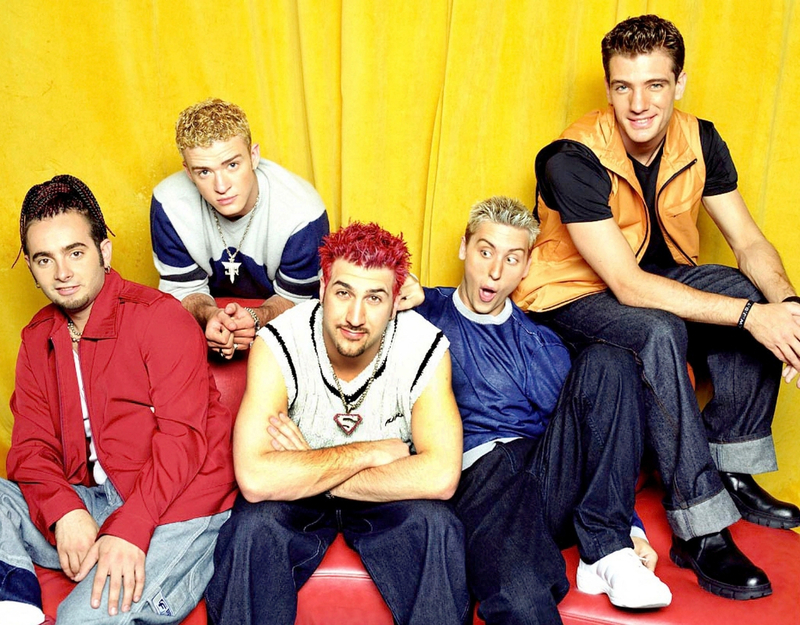 *NSYNC essentially followed the exact same path as the Backstreet Boys and in 1998, their debut single "I Want You Back" reached the top of the charts. The band was on track to out-perform the Backstreet Boys until one ramen-noodle-haired member AKA Justin Timberlake left the group for a solo career. They went on “hiatus” in 2003 so Nick Lachey could try a solo career and marry Jessica Simpson. 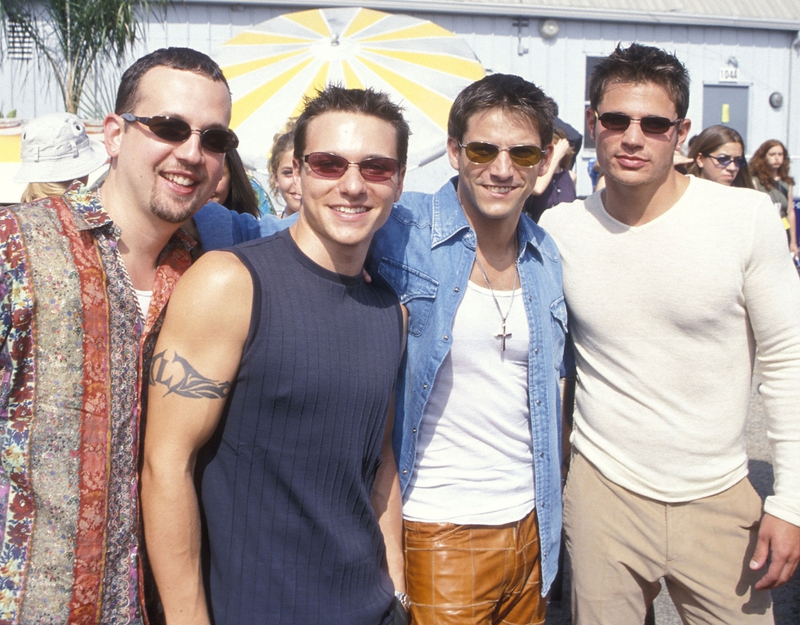 98 Degrees reunited in 2012 and their album peaked at a disappointing No. 65 of the charts. 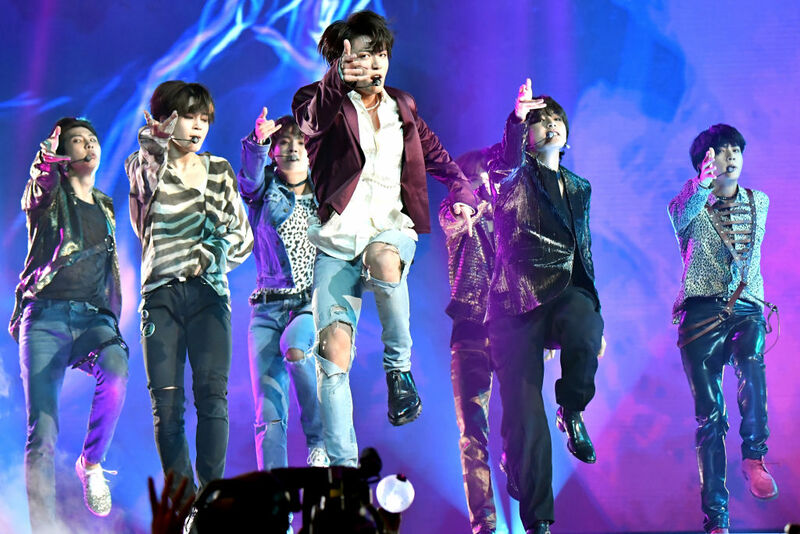 While American and British groups were battling it out they completely missed the rise of an entirely new type of boy band genre—K-pop. South Korean pop music was essentially founded by the boy band H.O.T. in the early ’90s. The group consisted of five members and were the first to be systematically trained K-pop group. H.O.T.’s first three albums sold millions of copies and their ability to become a “social sensation” in South Korea would lead to the worldwide rise of K-pop in the 2010s. 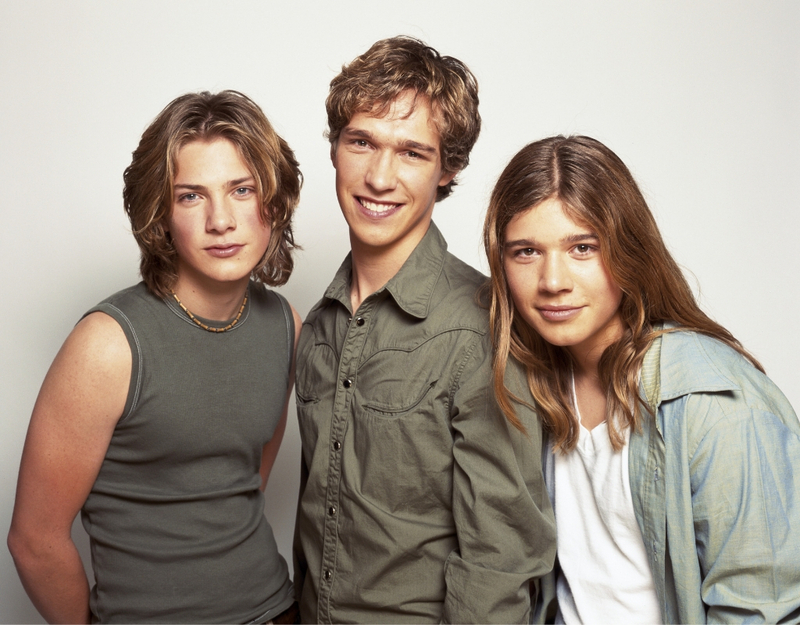 The ’90s were all about handcrafted boy bands but Hanson decided to try their hand at the brotherly band template. The three Hanson brothers—Zac, Taylor, and Isaac—built a cult-like following in Oklahoma with their independent albums but mad it big in 1995 with "MMMBop." "MMMBop" was a throwback to the bubblegum pop sounds and adolescent vocals pioneered by groups like The Jackson 5 and The Osmonds. Unfortunately, Hanson was basically just a one-hit-wonder and even though they’ve steadily released independent albums over the years, it has never been the same. The boy band underwent a few different lineups over the years and had relative success with other singles like “Summer Girls” but they seemed to appeal more to young kids than teenage girls. Keep reading to see the remember of the British boy bands. This English boy band may have had the choreographed dance moves and young fan base, but their R&B and pop inspirations made them a surprise critical hit. The group formed in 2000 and all three of their studio albums went to No. 1. Their fans weren’t just teenage girls though. Blue recorded songs with legendary artists like Stevie Wonder and Elton John. The boy band broke up in 2005 but reunited in 2011 to represent the U.K. in Eurovision. The insane success of boy bands in the ’90s led to the MTV reality show Making the Band, which set out just to make a boy band. O-Town was the result of the first season and was even managed by yep, you guessed it, Lou Pearlman. The group was named after Orlando, Florida despite none of the four members being from the area. 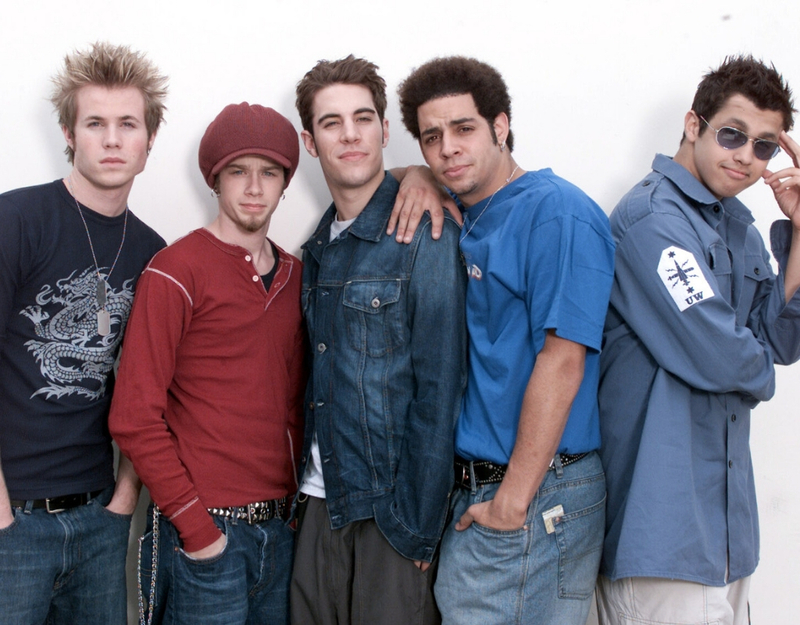 O-Town had some success with their first albums thanks to the popularity of the show but their second album failed miserably and they disbanded by 2003. While Lou Pearlman was busy making a million boy bands in America, a British music producer Simon Cowell (you might recognize the name) had the same idea across the pond. His first boyband, Westlife, was formed in 1999 and became huge stars after being the opening act for the Backstreet Boys. With singles like "Swear It Again" and twelve other No. 1 tracks, Westlife went on to be one of the most successful groups in the U.K. They even managed to survive the 2000s and stay together until 2012. Coming up, a set of brothers partnered with Disney to create a brand new type of boy band. 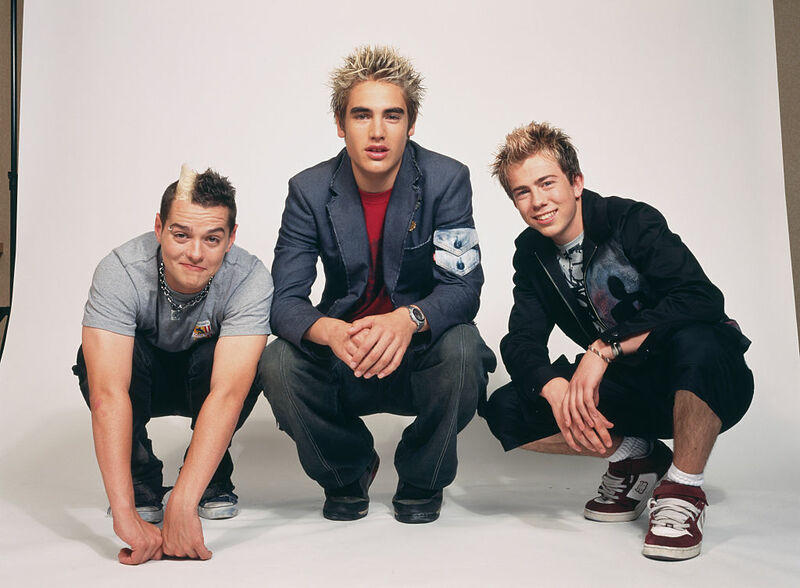 The three members of Busted claimed to be inspired by pop-punk rock bands like Green Day and Blink-182 which led to the different boy band sound of the 2000s. 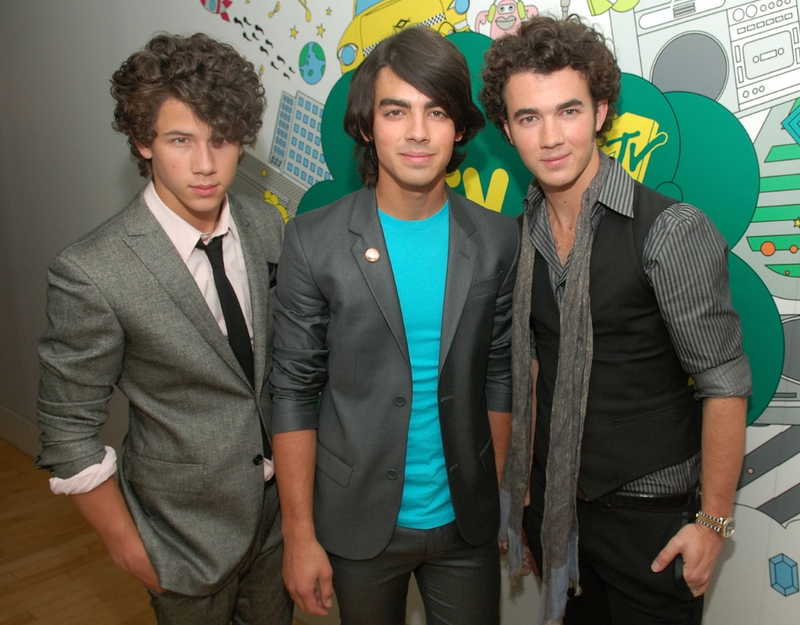 The rise of the Jonas Brothers in the mid-2000s was Disney’s first real attempt to dominate the market. The three siblings—Kevin, Joe, and Nick—had formed themselves but only became boy band superstars thanks to their promotion on Disney. The group had to maintain a cleaner image to appeal to teens, unlike the ’90s boy bands who touched on more sexual, adult themes. The Jonas Brothers turned their boy band into a Disney franchise with multiple movies, a television show, and by being connected with other Disney stars like Miley Cyrus and Demi Lovato. 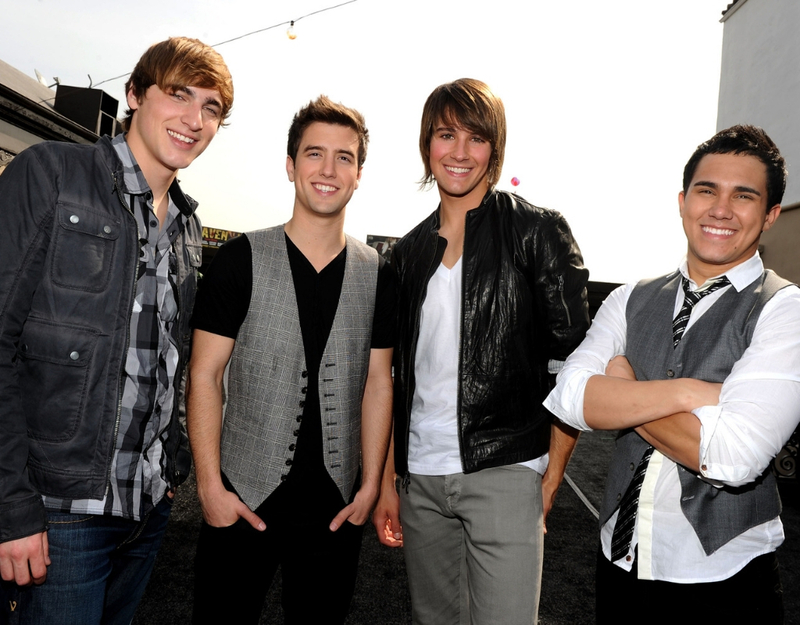 Big Time Rush was one of the few boy bands to be praised by music critics though and was even voted the “Best Boy Band In The World” in 2012. This four-person British boyband was originally named UFO when they auditioned for the British talent show The X Factor in 2006. They were forced to change their name due to copyright issues but it worked in their favor because after placing second on the show, they were immediately signed to a record contract. 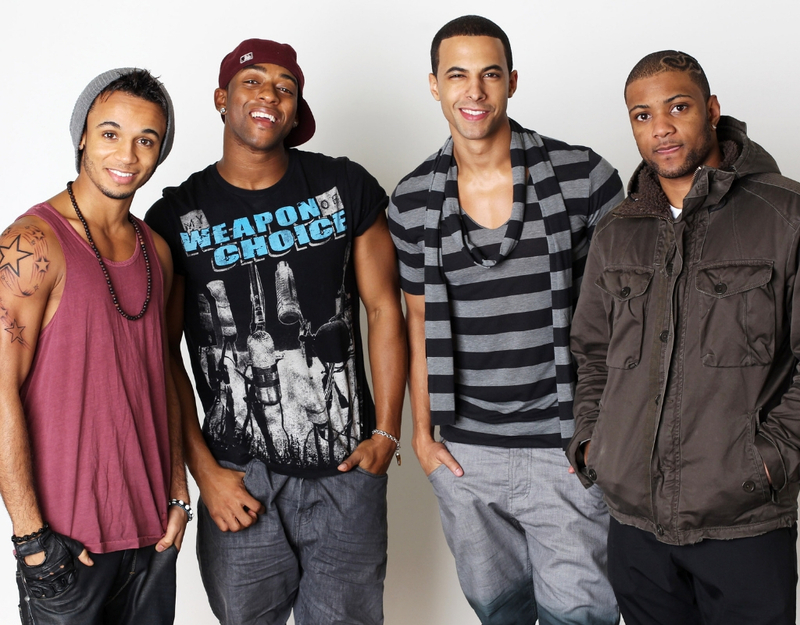 JLS incorporated more R&B to their pop singles and found quick success. Five of their first seven singles included “She Makes Me Wanna” went to No. 1 on the British charts. 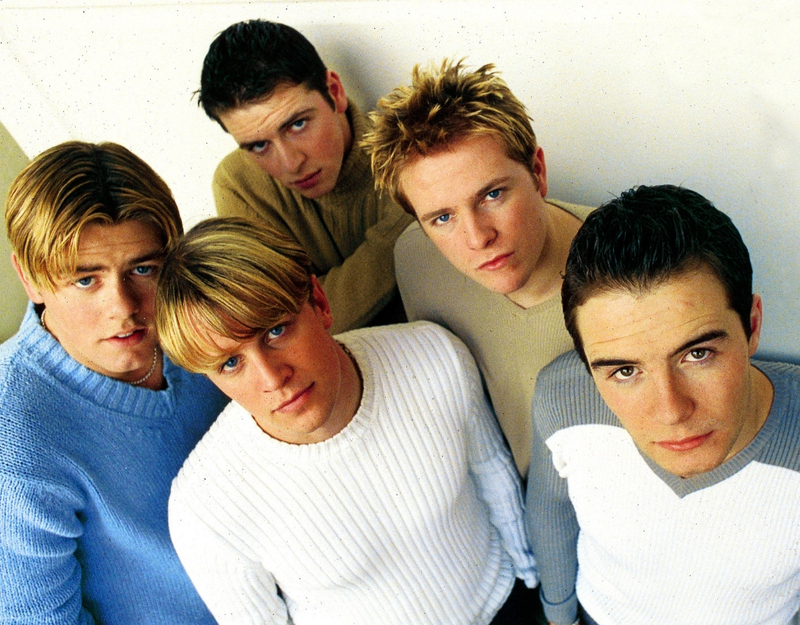 This British-Irish boy band was another hand-picked group formed in 2009. This British band was set up by producer Scooter Braun, who was also known at the time for his work with Justin Bieber. The Wanted released their first No.1 single “All Time Low” in 2010 and became British sensations. Their fame translated to America in 2011 with the single “Glad You Came.” With their U.S. success, The Wanted even went on to land their own reality series but their world tour was canceled after they broke up in 2014. In the summer of 2010, members of the Backstreet Boys joined New Kids On The Block on stage at Radio City Music hall, and people went wild. It sparked rumors of both bands reuniting but instead, the two ’90s-era boy bands formed a supergroup. The name came by combining the initials of each band. Even though the supergroup only released on album and one single, they proved that reunited boy bands could find serious success now that their nostalgic fans are all grown up with cash flow. Simon Cowell wasn’t looking to create a new boy band in 2010 when Niall, Zayn, Liam, Harry, and Louis all separately auditioned on The X Factor. Cowell simply believed they would be a stronger act together and after the group placed third, they were immediately signed to a contract. One Direction has arguably been one of the biggest boy bands of the 2010s seeing levels of success like the Backstreet Boys and *NSYNC. Even though the band has been on hiatus since 2016, singles like “What Makes You Beautiful” are still favorites for many fans. This Australian boy band used social media as a way to get their big break. 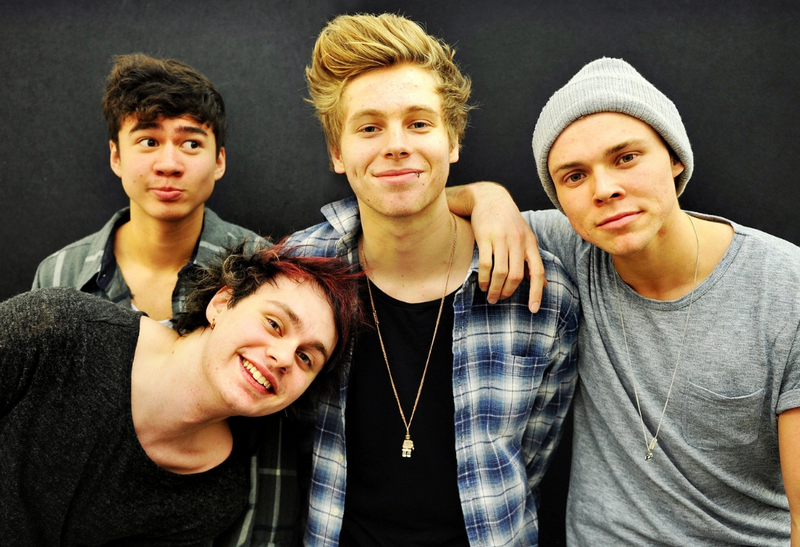 Similar to solo singer Justin Bieber, 5 Seconds of Summer began posting their videos to YouTube in 2011 and building a fan base online. In 2013, they were chosen to open for One Direction on their world tour and were signed to their own record contract in 2014. To date, 5 Seconds of Summer have released three albums that have all topped the Billboard 200 and are one of the few boy bands that are still together. K-pop was growing stronger than ever after the success of H.O.T. 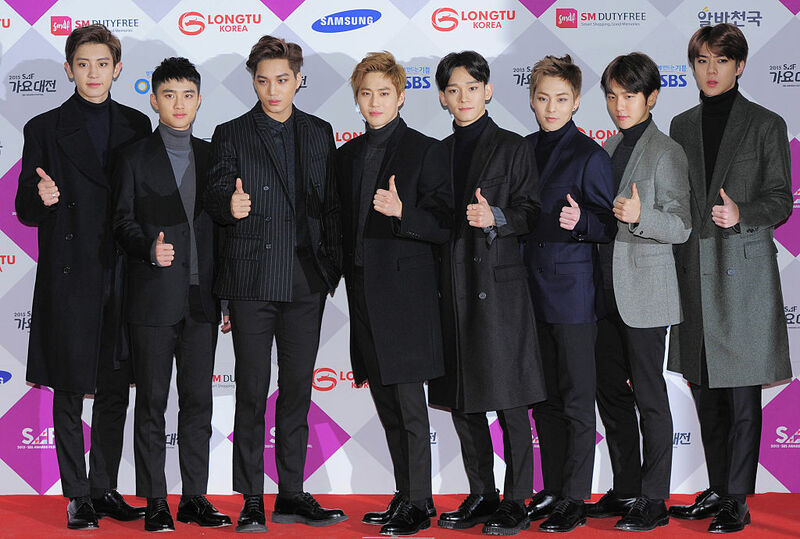 and today, one of the biggest K-pop boy bands in Exo. This nine-member group was unlike anything America had seen before. The performers for K-pop are trained from a young age in dancing, singing, and their public image. Exo’s music combines everything from pop, hip-hop, and electronica. In 2016 they were called the “kings of K-pop” and in 2018, they performed at the closing ceremonies at the Pyeongchang Winter Olympics. Today, the biggest boy band in the world is another K-pop creation—BTS. Also known as the Bangtan Boys, their seven-member group is the only K-pop group to have an album reach No. 1 on the U.S. charts. Much of their success in America is thanks to their social media presence. Some of the members speak English which allows young fans to communicate directly with the group. There have even been viral videos of American fans crying with joy while watching BTS music videos.